A one-of-a-kind forum for ultra premium wineries focused on innovations that advance wine quality. 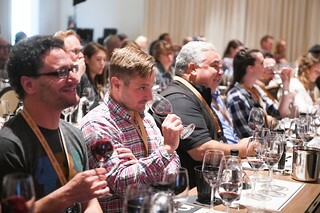 Innovation + Quality (IQ) 2019 is the fifth annual forum for ultra-premium wineries focused on cutting-edge innovations that advance wine quality. This two-day event takes place May 22 & 23, 2019 at Silverado Resort & Spa in Napa Valley. This event is produced by Wine Business Monthly, the leading print publication for the wine industry, in partnership with Napa Valley Vintners and the Napa County Farm Bureau. For attendees travelling from out of town, the Silverado Resort & Spa offers several lodging options. Sleeping accommodations can be booked directly through the Silverado website or phone at the current best advertised rate. Reserve early for best rates. The IQ event does not use a housing bureau or third-party agency for hotel accommodations or any other travel arrangements. Any claims by companies stating otherwise are not true. They will often state they are offering "pre-sales" or discounted rooms for our event. Sales representatives from these companies sound official and may be aggressive. Please disregard any communications from them. The Silverado Resort & Spa is located off of hwy 121 in Napa, California. Onsite complimentary parking is available.